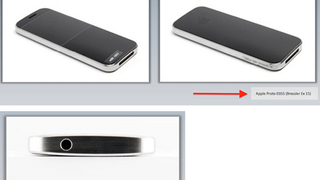 The information about Apple's early iPhone prototypes and concepts just keeps coming. According to a court filing, Apple considered building a phone with shaped glass, but it never happened because it would have cost too much cash money. Look at those images above. Trippy concept, right? Would You Buy This iPhone Prototype? The technology in shaping the glass, the cost relative to shaping the glass at the time, and some of the design features of this specific shape were not liked.